Three years after the coalition Government took office, it has been unable to effectively address the current high unemployment rate and according to the Finance Ministry’s Finance Secretary Michael Joseph the firing of 7000 sugar workers along with others has put a burden on the National Insurance Scheme. 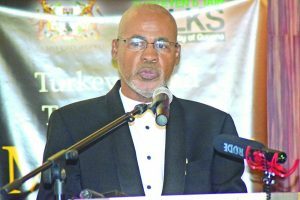 Speaking at the opening night of the University of Guyana Turkeyen and Tain talks on Thursday at the Pegasus hotel, Joseph said, “what has happened since is that this Government has fired 7000 sugar workers, many others. Let’s say maybe 20,000 more have lost their jobs. 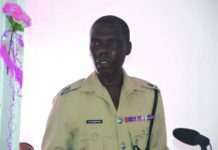 Take of the 20,000, just take another 8000 who were paying NIS, so those are people who are not contributing to NIS,” he explained. This, he said, translates to decreased inflow for NIS and a pay-out that would remain constant or increase. In the last financial statement issued by the Scheme, it had shown a deficit of over $800 million. Then there are the almost 2000 Amerindian Community Support Officers (CSO) who were dismissed soon after the coalition Government came to power in 2015. These officers were previously employed under the Youth Entrepreneurship and Apprenticeship Programme (YEAP). 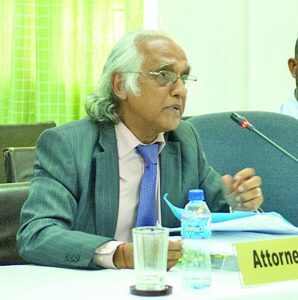 This led to the Amerindian Action Movement of Guyana taking the Government to court, arguing that the dismissals were unlawful and discriminatory. 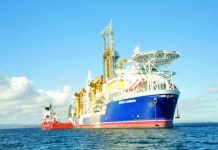 The group in its affidavit had noted that the CSO’s were drawn from approximately 187 Amerindian villages and communities. It was also noted that these CSO’s were afforded steady employment until the coalition Government’s action. 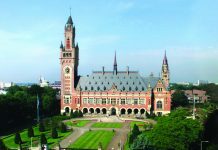 For its part, the Government has argued that the programme was not performing on par in a bid to justify the dismissals. In addition to the over 7000 sugar workers who were fired from Guyana Sugar Corporation (GuySuCo) and the CSO’s who were dismissed by Government, Barama Company Limited was also forced to close its operations after several of its concessions were taken back by Government. This created further unemployment. 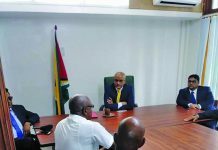 At the same time, the Finance Secretary backed his subject Minister, Winston Jordan, who had noted previously that Government cannot provide employment for all. According to Joseph, youths should also look to entrepreneurship as a means of income. Tax collection is not the only thing taking a hit when there is large-scale unemployment, as National Insurance Scheme contributions are also affected. For instance, concern has been expressed that layoffs in the sugar belt could undermine the Scheme’s position. This is particularly so if the Scheme were to pay unemployment benefits. 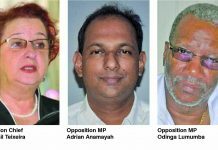 At a previous press conference, Opposition Leader Bharrat Jagdeo had said that the idea of paying out these benefits did not take into account the current financial status of the Scheme and its ability to meet its current obligations. He noted that the last actuarial report recommended that focus is placed on building the reserve to avoid a deficit. In fact, it was disclosed in that report that the life of the Scheme should come to an end by 2022 unless strategic plans for revenue earnings and expansion of the investment portfolio are effectively implemented. Jagdeo also referenced the thousands of dismissed sugar workers. Talking about tax collection, Joseph expressed concern about youth unemployment and the impact it has on taxable income and noted the serious effect unemployment has on this process. Joseph also cited the 2017 Labour Force Survey commissioned by Guyana’s Bureau of Statistics. This survey had found that Guyana’s employment rate was a worrying 49.2 per cent. 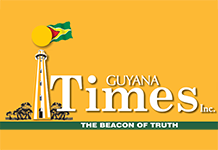 In an interview with this publication, on the high unemployment rate in Guyana, Chartered Accountant Christopher Ram spoke of some of the reasons for Guyana’s low employment rate and also expressed the belief that not enough attention is being paid to its economic and social side. “Part of the problem we have is that we have a very low wage economy,” Ram said, adding “and it discourages people entering into the employment sector. If you get the minimum wage and you have to spend 20 per cent of it on transportation alone, it’s not a great motivator for you to work”. According to the accountant, many do not see their National Insurance Scheme (NIS) in the positive light of being a contribution to their future pension, but rather they see it as a deduction from an already small salary. He noted that another factor that must be considered is how effectively the school system prepares students to enter the workforce. Ram expressed worry about the impact of joblessness and the oil and gas sector. Observers have also expressed worry about the link between unemployment as a signifier of the gradual erosion of the traditional sectors of the economy due to neglect by the Government as they wait for oil revenues to start flowing. This will inevitably lead to the dreaded Dutch disease, where the economy cannot stand on one leg. This is most graphically illustrated over the past few years, in the sugar industry where production has dwindled with the dismissal of the sugar workers and the Government has not diversified the prime agricultural lands into other crops to create employment and generate foreign exchange by exporting those crops. In general, Dutch disease is an economic term for rapid changes to a country’s revenue earnings in a resource-extracting sector like oil that results in a reduction in the value of other exported commodities. The situation is often blamed on the sudden development of one sector at the expense of others.